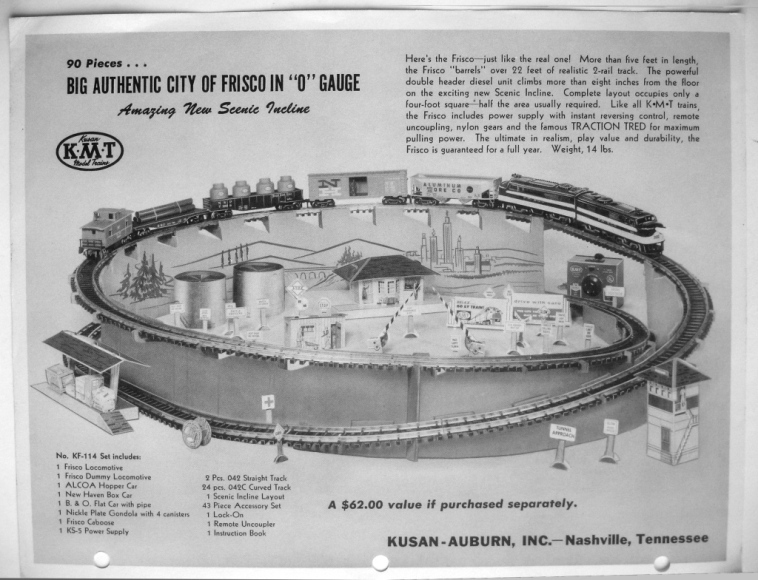 Greenberg's Guide to Kusan Trains lists 45 different Kusan train sets. Basic train sets included a box, locomotive, rolling stock, power pack, wire and track connector, and track. Some sets had extras, such as cardboard signs and structures. City of Frisco set # KF-114 is pictured on this page, and on the City of Frisco pages that follow.